Inflight connectivity to reach 2/3 of air fleets by 2020! IMM International is thrilled to share key insights from SITA OnAir this week on Inflight Connectivity. 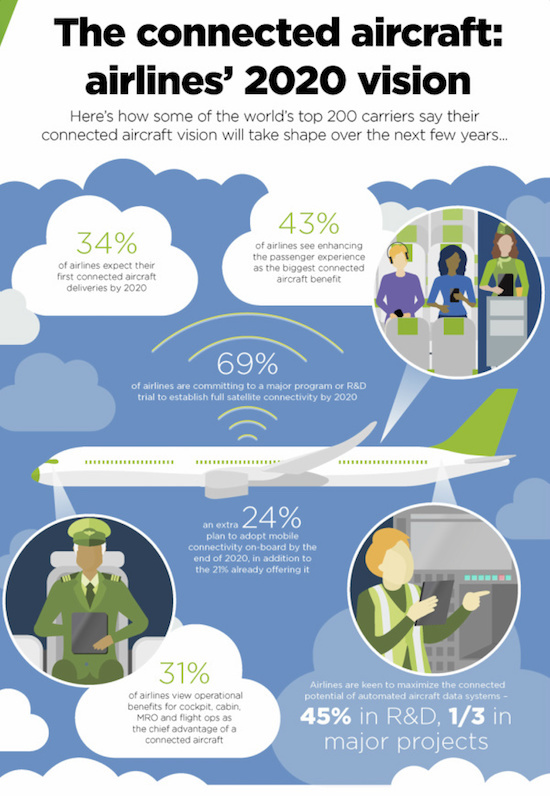 Indeed, in their latest analysis of SITA’s 2017 Air Transport IT Trends, the company reveals that more than a third (34%) of airlines will take delivery of aircraft equipped with connectivity services. As a matter of comparison, this figure was only 21%…a year ago! 72% of airlines said they were most eager to introduce destination services apps enhanced by connectivity. Duty Free shopping apps ranked second at 61%! 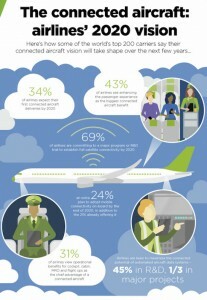 24% of airlines have invested in wireless BYOD in-flight entertainment transmitted to passengers’ own devices. 46% of airlines plan to offer this form of entertainment by the end of 2020, either as a stand-alone or second screen option. 87% of airlines plan to implement mobile services to enhance customer relationship management over the next three years; with 75% planning to invest in major programs. As a reminder, IMM is a leading worldwide player in Inflight WIFI Advertising reaching 50 million connected passengers per month!